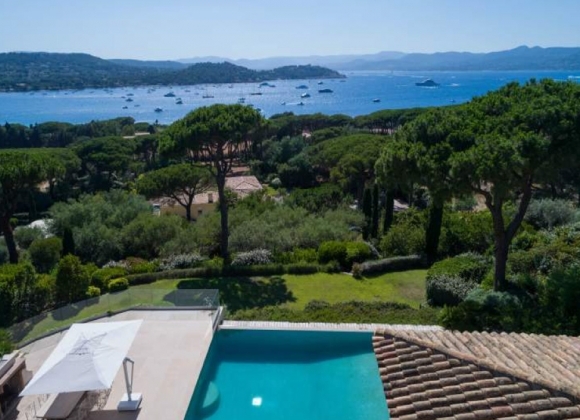 This beautiful Neo-Provencal style villa is situated in the prestigious area of Les Parcs de St Tropez and features breath-taking views of the sea. 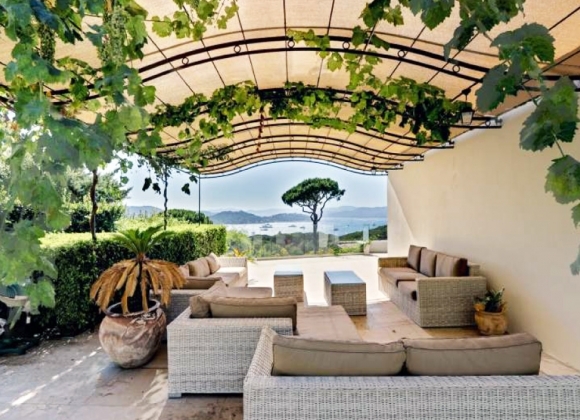 The property includes a stunning landscaped garden complete with a modern swimming pool and olive trees. The pool area is surrounded by a large terrace for outdoor dining and sun bathing on the various sun loungers dotted around the pool. 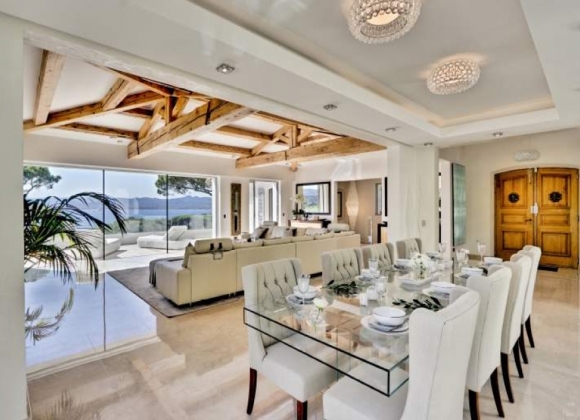 The interiors of the villa are tastefully decorated, spacious and bright with exposed wooden beams on the ceilings and large windows. Guests can recline on the sumptuous sofas congregated by the flat screen television. The open plan design is completed with a stylish dining area and a fully equipped kitchen, including the latest appliances. 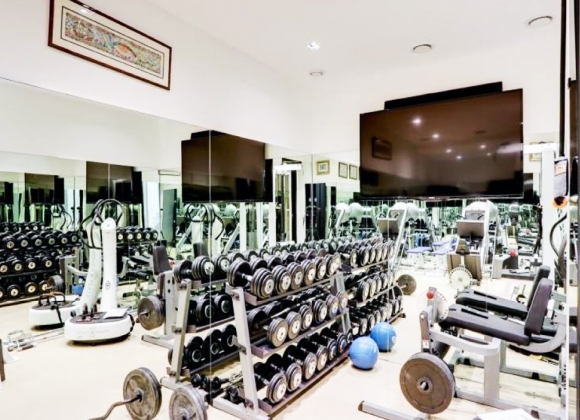 Guests looking to stay active during their holiday in St Tropez have access to a well-equipped gym room. 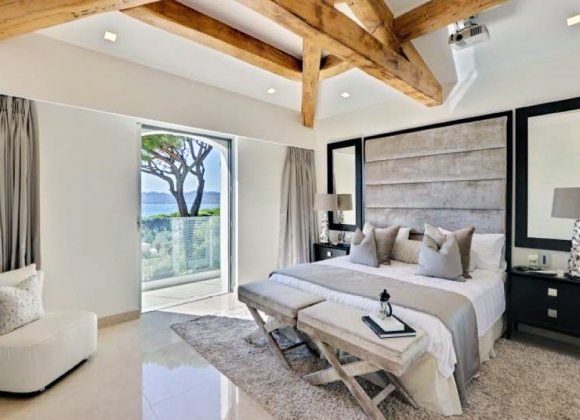 The property includes 5 wonderfully decorated and furnished bedrooms, each with dressing rooms and en-suite bathrooms for added comfort and privacy. An independent staff studio is also included.